James Russell Brown, professor of organ at NIU, will present the second concert in the School of Music’s organ concert series at 3 p.m. Sunday, Oct. 10, in the Boutell Memorial Concert Hall. He will perform on the beautiful 1983 Martin Ott Pipe Organ. Pieces on the program are “Prelude and Fugue in b minor” by Johann Bach, “Vater unser im Himmelreich” by Georg Böhm, “Veni creator” by Nicolas de Grigny, “Symphonie Gothique” by Charles-Marie Widor, “Messe de la Pentecôte” by Olivier Messiaen and “Prelude and Fugue in B Major” by Marcel Dupré. Brown holds degrees from Oberlin and New England Conservatory in organ performance. His principal teachers have included Yuko Hayashi, David Boe and William Porter (organ), and Lisa Goode Crawford, William Porter and Lenora McCroskey (harpsichord). As a performer, he has been presented in recital at National Cathedral, Harvard University, The University of Vermont, The University of Connecticut, Stetson University and the Methuen Summer Organ Series, among others. In the Chicago area, he has appeared with The City Musick, Chicago Baroque Ensemble, His Majestie’s Clerkes and Bach Week in Evanston, and has performed solo recitals at Holy Name Cathedral, St. James Cathedral, Fourth Presbyterian Church, St. Chrysostom’s Church, St. Luke’s Church (Evanston) and the Presbyterian Homes (Evanston). In August 2010, he served as organist for a week at Canterbury Cathedral along with the NIU Chamber Choir. Brown joined the NIU faculty in 2008, teacing both organ and harpsichord. Since 1985, he has served as organist and director of music for St. Giles Episcopal Church, Northbrook. 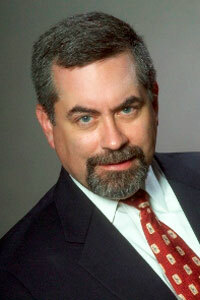 He is also chair of the Organ and Harpsichord Program at the Music Institute of Chicago. He is a member of the boards of the North Shore Chapter of the American Guild of Organists and Chicago’s period instrument orchestra, Baroque Band. Previously he was on the board of the Chicago-Midwest chapter of the Organ Historical Society, and the renowned Chicago a cappella choir, His Majestie’s Clerkes, now known as Bella Voce. The concert is free and open to the public. The NIU Music Building, 300 Lucinda Ave., is accessible to all. For more information, contact Lynn Slater in the School of Music at lslater@niu.edu or (815) 753-1546.